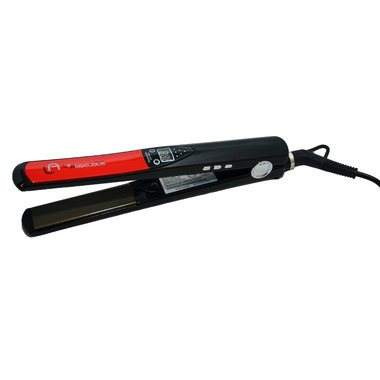 Le Angelique's Titanium hair iron is their way of helping create the straightest hair styles possible. With its 1' inch plates you can get into the hard to reach areas. Its cutting edge titanium plates heat up fast to a high heat of 450F. The digital temperature screen allows you to keep track of your unique heat setting all throughout use. 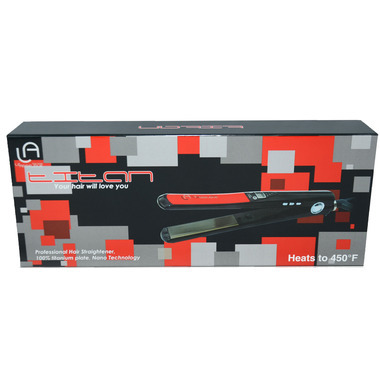 This professional hair iron is great for all hair types and especially for thick curly and very long hair. So dont let time get in your way and ruin your chances of a good hair day!